Close Call Sports is a sports media rules source that analyzes close or controversial calls objectively, fairly, ethically and with great regard for the rules and spirit of the game. CCS features the Umpire Ejection Fantasy League (UEFL), which objectively tracks and analyzes MLB umpire ejections and their associated calls, rendering qualities of correctness, and the former Technical Foul Fantasy League (TFFL), which tracked NBA official technical fouls and ejections. CCS developed from the Left Field Corner: MLB Umpire Ejection Fantasy League, a league dedicated to objectively tracking and analyzing umpire ejections and their corresponding calls, with great regard for the rules and spirit of the game. The UEFL additionally maintains umpiring trend data and statistics, such as most popular reason for ejection (arguing balls and strikes), most commonly ejected personnel (managers) and most common innings for ejection (between the sixth and eighth). Witnessed a close or controversial call in a recent game? Want a rule explained or the Close Call Sports crew to review a play and determine if the call on the field or court was the correct call? You've come to the right place. Close Call Sports is dedicated to that long-held officiating axiom, getting the call right. Find us on Social Media: Twitter 🐦: @UmpireEjections | Facebook 👍: /UmpireEjections. The UEFL is our flagship production whose purpose is to promote rules knowledge in baseball through objective tracking and analysis of close or controversial calls, including those prompting instant replay reviews and ejections. Membership is open to all and follows the annual UEFL calendar: Generally, registration opens in January, the draft takes place in March, and the roster is set by the season's Opening Day in April. Each entrant drafts a total of five umpires: 1 Crew Chief, 2 Primary, and 2 Secondary. For a complete list of UEFL rules, visit the UEFL Portal's virtual Rules Book. QOC = Quality of Correctness. Whether a call resulting in ejection was correct or incorrect. May be QOCY (correct), QOCN (incorrect), or QOCU (irrecusable [neither correct nor incorrect]). QOCY also corresponds to a replay review that stands or is confirmed while QOCN applies to a replay review that is overturned. QOC for called pitches shall be determined using Pitch f/x data and not by graphical K-zone plots. >> (all else equal) BALL < sz_bot + MOE < STRIKE < sz_top + MOE < BALL. >> +1 for a QOCY ejection, QOCU ejection, or QOCY replay review. >> +0 for a QOCN ejection. >> -1 for a QOCN replay review. >> + 3 base points for all QOCY and QOCU ejections wherein the umpire is a MiLB/AAA fill-in. >> + 2 base points for all ejections wherein the umpire is MLB-level or QOCN ejections for AAA. >> + 2 points are applied on top of the base for all QOCY ejections based on the ejector's call. >> + 1 point is applied on top of base for QOCY ejections based on a crewmate's call. >> + 0 points applied on top of base for QOCU ejections. >> -4 points applied on top of base for QOCN ejections based on the ejecting umpire's call. >> [Misc #] points granted for Special Event assignments and postseason awards. 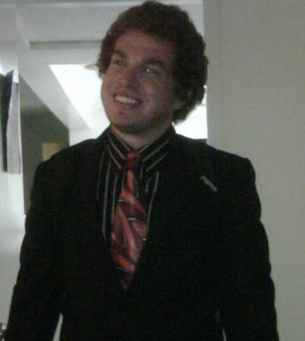 Close Call Sports founder Gil Imber created the Umpire Ejection Fantasy League in 2006 and is its current owner and one of two UEFL Commissioners. This League remains the flagship portion of the CCS website. He is a rules expert and provides analysis of events which involve rule interpretations or their applications. He has previously written about MLB ejections, NCAAF instant replay and the subconscious referee homey vs conscious homer effect. Known for his objective and fair analysis of rules related situations and Bleacher Report's first and only Rules Featured Columnist, Imber is a current basketball official, having previously officiated collegiate football, softball and baseball, in addition to basketball. A classically trained pianist, Imber specializes musically in the esoteric field of the ballpark organ and is a member of SONATA (Sports Organist Network and Trade Association), AGO (American Guild of Organists), and ATOS (American Theatre Organ Society); he has played organ for Major League Baseball's Los Angeles Dodgers and is the house organist for Honda Center and the National Hockey League's Anaheim Ducks. He is also a member of SABR (Society for American Baseball Research) with research interests and expertise in the fields of officiating, umpires, rules, instant replay and ejections. His SABR profile is available at http://profile.sabr.org/member/umpireejections. 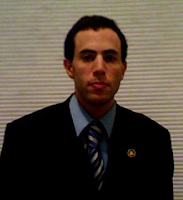 Jeremy Dircks joined the Umpire Ejection Fantasy League as Deputy Commissioner prior to the 2011 season and assisted with the expansion of the UEFL to Close Call Sports. A rules aficionado, he is adamant and passionate discussing whether the rules of the game are adhered to through his knowledge, analysis and application of the rules to a given situation. Known for his logical application and understanding of the rules, Dircks most recently served as a basketball and football official (serving as a line/flank and back judge), having previously officiated collegiate soccer and softball, in addition to basketball and football. He presently serves his country in the United States Navy. 'tmac' joined the Umpire Ejection Fantasy League as an observer and begin his journey on the UEFL Appeals Board as a founding board member in 2012, becoming Assistant Commissioner following the 2016 season. The author of many key decisions and a leader on the Board, tmac has and continues to umpire professional and amateur baseball in North America, and approaches plays from a standpoint of umpire mechanics and technique. He is an expert when it comes to Replay Review decisions, overseeing the UEFL's collection of Replay Review data. 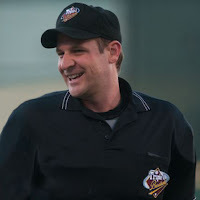 After graduating from the Jim Evans Academy of Professional Umpiring (JEAPU) in 2006, Hertzog embarked on a nine-year professional career in Minor League Baseball, completing his service as an MLB Spring Training invitee in the Pacific Coast League, serving as a PCL Crew Chief and plate umpire for the 2014 Triple-A National Championship. He is the CEO of Official Business, dedicated to bridging the gap between Umpires and Coaching Staffs/Players by bringing an Umpire's unique knowledge of the game over to Player Development. Official-Business' goal is to bring an unparalleled level of respect into baseball by creating professional relationships between Coaching Staffs/Players and Umpires. I heard about the UEFL in 2014 and officially became a everyday follower in 2015. I have umpired for a few years at the high school and youth levels and plan on attending umpire school when I graduate high school. I have joined the UEFL to help with the collection of MILB umpire data, ejections, and rosters. In addition to the CCS and UEFL staff, the Umpire Ejection Fantasy League established an Appeals Board prior to its 2012 season. The following is the all-time UEFL Appeals Board roster.